In 2017, it was reported that approximately 68% of the U.S. population used a smartphone. These devices have become a staple in our society, allowing us to carry the world in the palm of our hands. 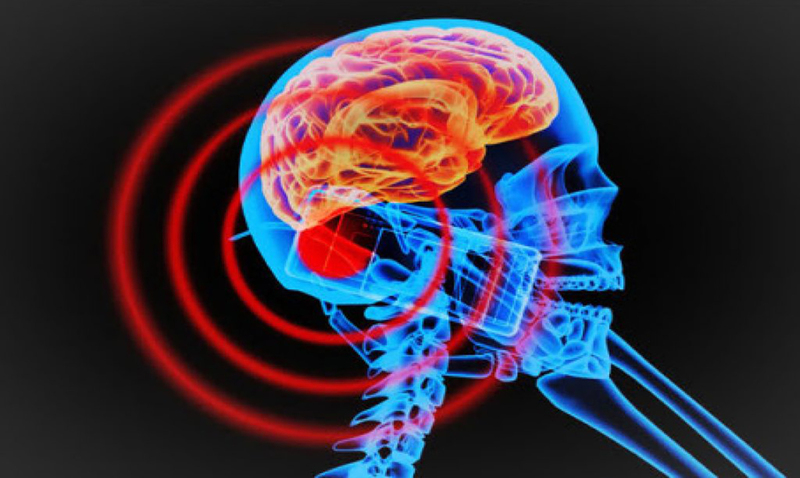 Recently, however, cell phones and Wi-Fi devices have created a great deal of controversy as scientists, researchers and healthcare professionals discuss the potential risks of radiofrequency (RF) energy, the type of radiation that is emitted by this technology. In response to this research, the California Department of Public Health published new guidelines in 2017, amending their stance on the risks of these devices. These new guidelines stated that “some laboratory experiments and human health studies have suggested the possibility that long-term, high use of cell phones may be linked to certain types of cancer and other health effects.” Researchers caution that this radiation has been associated with brain cancer, lower sperm count, headaches, tumors of the acoustic nerve and salivary glands, and negative effects on learning, hearing, behavior, memory, and sleep. However, at this time the scientific community is divided, with some studies illustrating these risks, while others argue that the exposure from current technology isn’t at a high enough level to cause these problems. One researcher, Dr. Om Gandhi from the University of Utah, focused his studies on the impact of cell phone radiation on children, illustrating that a child’s brain absorbs significantly more radiation than that of an adult. Comparing the brain scans of a 5-year-old, a 10-year-old and an adult following exposure to the RF-EMF radiation, his research is highly concerning. Image from Dr. Om Gandhi’s studies shows the brain of a 5-year-old child on the left, a 10-year-old child in the middle and an adult brain on the right, showing the variation in the amount of radiation absorbed. While Americans continue to debate the risks of RF-EMF radiation, a number of other countries have decided to take a more dramatic approach. In an effort to protect the health and well-being of their youth, and encourage educational success, these counties have put severe limits in place focused on the use of cell phones and Wi-Fi devices in elementary and nursery schools. This includes France, Australia, Germany, Belgium, Italy, Spain, Austria, Finland, Cyprus, Israel, India and more. One study, published by the London School of Economics analyzed data from schools in four English cities, exploring the impact of banning mobile phones on their overall educational performance. The study concluded that strict bans led to improved exam scores, with some students showing as much as 6% improvement. “We found the impact of banning phones for these students equivalent to an additional hour a week in school, or to increasing the school year by five days,” the study’s authors explained. Meanwhile, in France, a law was passed in 2015 banning all Wi-Fi in nursery schools, while also requiring that Wi-Fi in elementary schools be shut off any time that it is not in use. Furthermore, the country recommends the use of wired connections if at all possible. Cell phone manufacturers are required to recommend the use of headsets in all advertisements in an effort to reduce exposure to the phone’s radiation and all efforts to advertise to young children have been banned. It raises the question, are we doing enough to protect the youth of America?